When the temperature outside blankets you with its heat wave, having a dependable air conditioning system is a welcome relief — that is, so long as you don’t get shocked by the cooling cost. Let’s review a few of these cost-saving suggestions. This is a great place to start lowering your cooling cost. 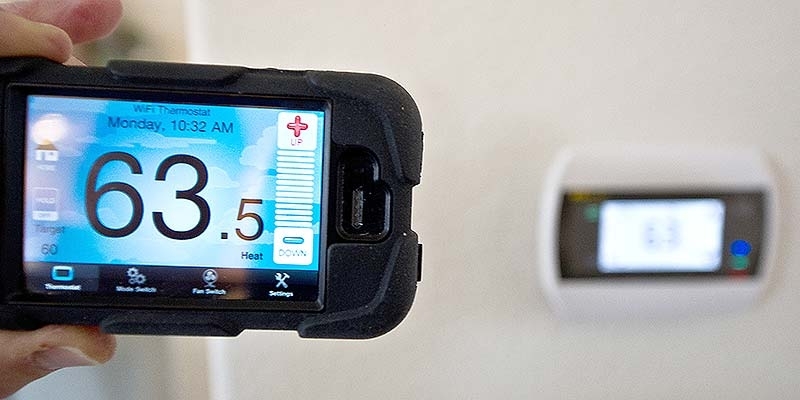 Unlike the old-fashioned dial thermostats, programmable thermostats and apps make it easy to control the temperature of your home and save energy and money. Best, you don’t even have to be on site to control the temperature. Not only are ceiling fans an attractive addition to the interior, they provide an excellent function in moving cool air and reducing your cooling cost. Sealing off small openings to the outside is a great way to reduce your cooling cost. Then take an extremely close look at your insulation. Remember, nobody ever seems to complain about having too much insulation! If you truly want to keep your cooling cost lower, don’t let the hot sunlight come streaming into your home. You don’t have to shut the curtains, either. There are plenty of attractive energy efficient window coverings on the market. As the DoE points out, understanding how heat is transferred from the outdoors into your home and from your home to your body is important for understanding the challenge of keeping your house cool. 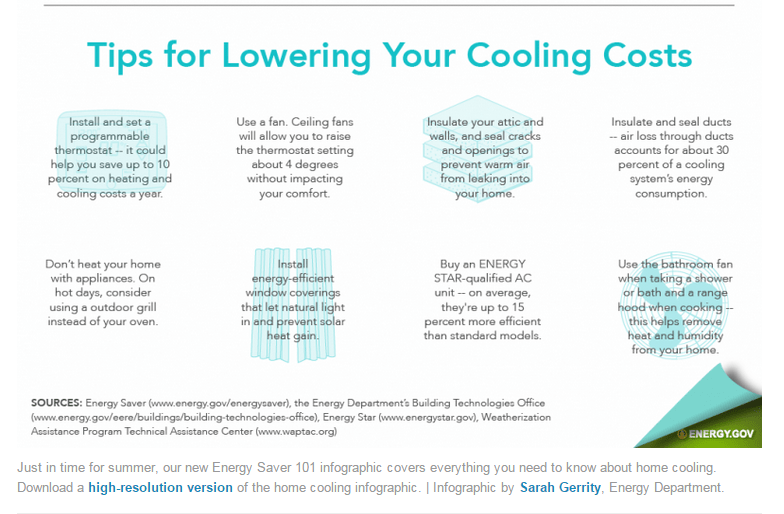 Keep in mind the same processes that help keep your body cool are relevant in understanding the cooling strategies you use for your home.